Von Apple in der nachträglich hochgeladenen Version hinterrücks editiert. Bat bombs were an experimental World War II weapon developed by the United States. The bomb consisted of a bomb-shaped casing with numerous compartments, each containing a Mexican Free-tailed Bat with a small timed incendiary bomb attached. 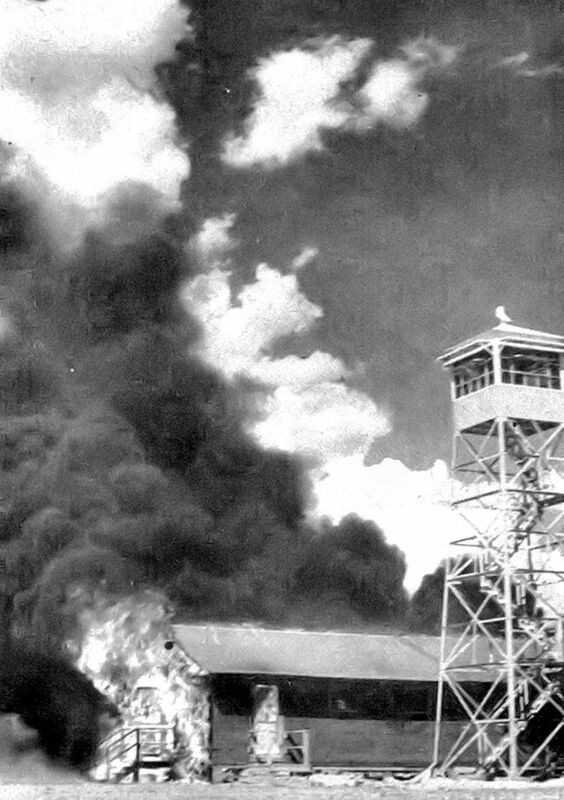 Errant bats from the experimental Bat Bomb set the Carlsbad Army Airfield Auxiliary Air Base, New Mexico on fire. Erfolgreicher als die Acoustic Kitty der CIA.